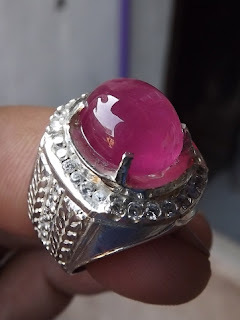 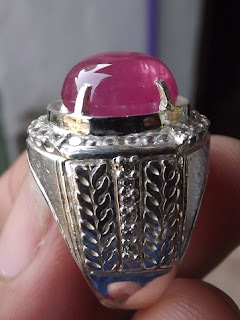 This is a real nice Natural Madgascar Ruby on cabochon cut. 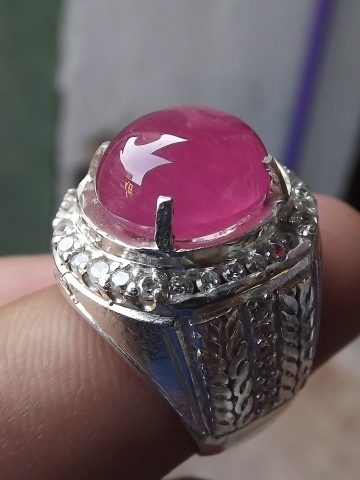 The red color is soft red. 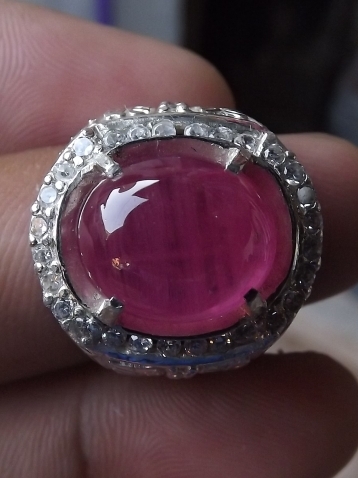 The gems is already set on a good 18mm silver ring. The size of the gems is (est) 13,5mm x 11,5mm x 6,5mm. 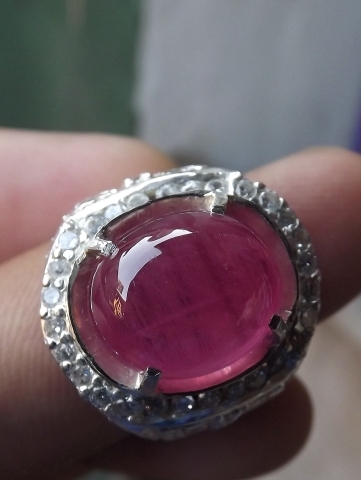 Get this beautiful natural Madagascar Ruby now! !